Change happens. Sometimes you choose it, and other times you don’t. Either way, change can throw you for a loop, as you often need to let go of parts of the past in order to move forward to the future. Don’t miss this program where Jo Eisenhart, Chief People Officer at Northwestern Mutual, will inspire and share insights on how we can “Marie Kondo-ize” life’s changes so they spark joy. Jo will share her experiences with organizational and personal change as well as ideas to help manage the transitions that come with change. 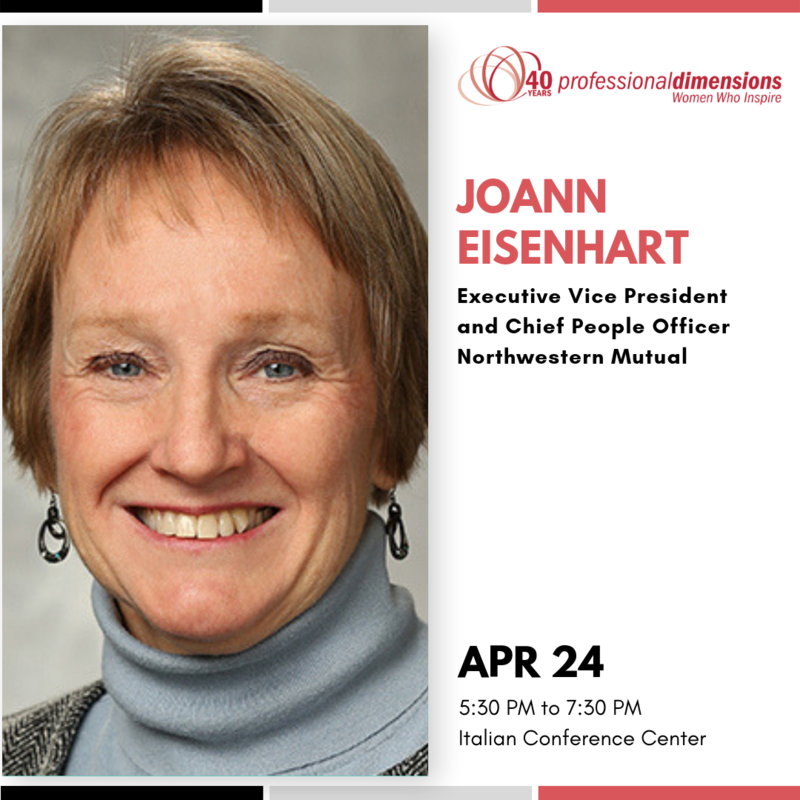 Joann (Jo) Eisenhart is executive vice president and chief people officer at Northwestern Mutual. In this role, she leads the People Function, which includes the digital workplace & corporate solutions, campus & events experiences and strategic philanthropy & community relations departments. Please note this event will be held at the Italian Conference Center.